If you are entering university this year or next, keep your eyes open for scholarship opportunities that may be offered by your top university choice. Browse the opportunities below to help get you started. 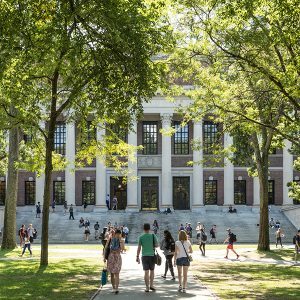 For students entering university in the United States, also consider our IB exam credit guide to save time and money as you complete your degree. Are you an IB graduate? Join the IB Alumni Network by visiting ibo.org/alumni. Last updated April 2019. SP Jain is a business school with campuses in Dubai, Mumbai, Singapore and Sydney, awarding scholarships based on a minimum score of 38 on the IB diploma. Eligibility is determined upon admission. Students must check the scholarship box on the online application and describe their need for financial assistance in the application essay. Minerva Schools at KGI, in support of IB’s and Minerva’s shared commitment to world class education, offers a $10,000 scholarship to an IB student, admitted to Minerva, who demonstrates financial need. SCAD – The University for Creative Careers offers renewable merit scholarships ranging from USD $3,000 to $15,000 based on IB diploma scores. At the University of Sydney, the Sydney Scholars Award offers year 12 students the opportunity to apply for scholarships ranging from $6,000 to $10,000 per year. International Baccalaureate students applying for admission through UAC, are also eligible to apply. 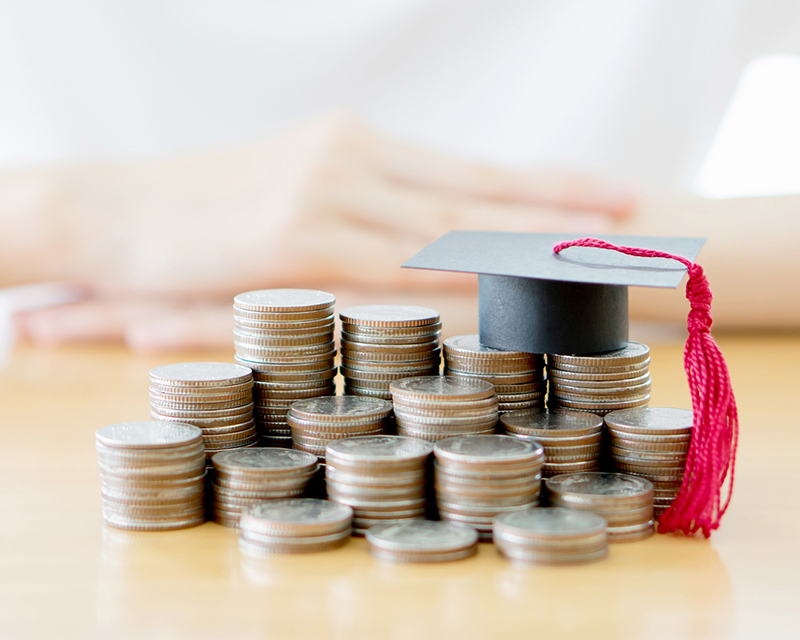 Domestic students (including New Zealand ), if with an ATAR of 99.90 will automatically be awarded a scholarship worth $10,000 for the duration of their undergraduate degree. 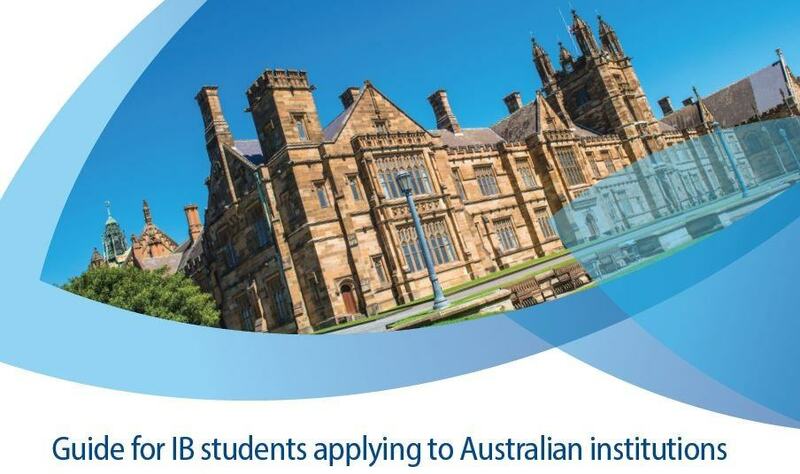 University of Melbourne’s Chancellor’s Scholars Program is only available to students who completed an Australian Year 12 or the IB in Australia. The award combines the International Undergraduate Scholarship and the Melbourne Global Scholars Award. Domestic students are eligible for the Melbourne National Scholarship of up to $40,500. International student are eligible for fee remission ranging from $10,000 up to a full scholarship. The University of Western Australia will award three outstanding international students with its Faculty of Science Scholarship for International Students. These scholarships are available to students from Indonesia, Malaysia, and Singapore that have applied for entry in one of seven science majors offered. This scholarship is not open to citizens or permanent residents of Australia or New Zealand. The award is $15,000 over three years and the deadline is November. Griffith University, in Southport, Australia; IB diploma holders and candidates you may be eligible for the university’s prestigious Dean’s Sir Samuel Griffith Scholarship or the Sir Samuel Griffith Scholarship. The Dean’s Sir Samuel Griffith Scholarship is a merit based scholarship valued at approximately $60,000 AUD, payable at $12,000 AUD per year up to five years of study. The university also offers the International Baccalaureate Student Scholarship for IB diploma graduates, which covers up to 10% of the tuition and fees during a student’s first two trimesters. Deakin University, in Melbourne, Australia awards one high-achieving IB diploma holder with its Deakin International Baccalaureate Scholarship. This scholarship is valued at $5,000 AUD/year plus academic mentor support. Deakin University does not require a scholarship application be submitted for consideration. This scholarship is only available to Australian citizens and holders of Australian permanent humanitarian visas. The University of Alberta is awarding scholarships to the top 25 IB diploma holders applying to Alberta, entering school in the autumn, and they will reward each top student with a $1000 reward. The University of Alberta does not require a scholarship application to be considered, but students must submit their IB exam scores to the university registrar by 1 August 2015 to be considered. The University of Calgary, awards scholarships to the top 17 IB graduates achieving a minimum score of 35. Students need only to submit their final IB exam scores to be considered. There are two awards reserved at $8,750 CAD and fifteen awards at $3,500 CAD. Simon Fraser University (Burnaby, BC, Canada), offers IB graduates the opportunity to apply for one of the University’s Major Entrance Scholarship awards. Students must submit a school transcript and will be required to score a 31 or greater on their IB examinations. There are various award possibilities that range up to $10,000. 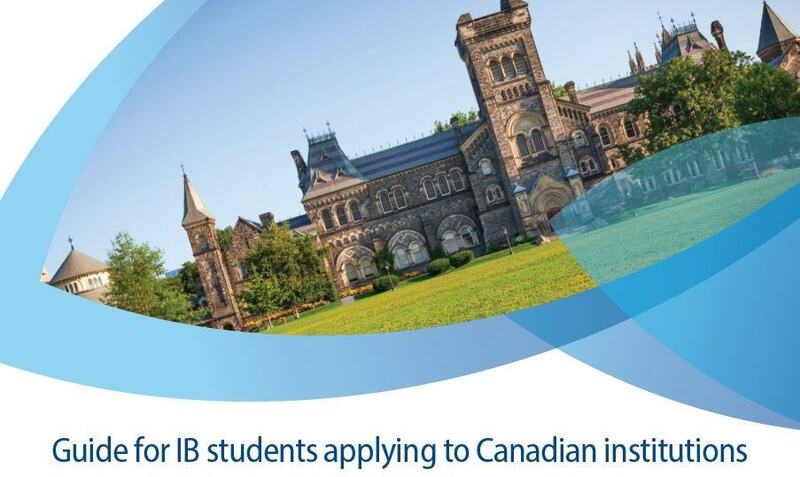 University of Toronto offers the Lester B. Pearson International Scholarship Program to recognize international students coming to Canada who demonstrate exceptional academic achievement and creativity and who are recognized as leaders within their school. Students must be nominated by their IB World School. Dalhousie University offers a General Entrance Award for incoming IB diploma graduates. To be considered students must apply for admission to the university by 15 March, complete the separate application for the award, and submit official transcripts demonstrating a predicted 26 points on the IB diploma. University of Victoria international students who completed the full IB diploma with a score of 32 or higher are elibible for scholarships ranging in value from $3,000 to $10,000 and are automatically renewable for subsequent years. The American University of Paris says IB students are among the strongest and most active students on campus. It offers automatic IB Scholarships based on final IB diploma scores, plus consideration for additional need-based funding. Awards range from €5,000 to €20,000 per year. IB students also may earn advanced standing university credit and the university. Singapore Citizens, yes anyone with permanent residence in Singapore. Upcoming IB graduates in Singapore are encouraged to apply for this Ministry of Trade and Industry undergraduate scholarship focusing on Economics. It covers tuition fees and other approved charges, airfare and possible sponsorship of a Master’s degree. At the University of Sussex, the Sussex Excellence Scholarship is £3,000 cash award for undergraduate students who achieved excellent academic performance in the IB Diploma Programme. Students with 36 points on the IB diploma (including any bonus points) are eligible to automatically receive the award. The University of Nottingham is offering scholarships of £2,500 to £6,000 (or more) towards tuition fees for high-achieving International Baccalaureate Diploma students though the International Baccalaureate Diploma Excellence Scholarship. Priority will be given to students who have accepted The University of Nottingham as their firm choice in UCAS. At the University of Roehampton (London, England), IB grads may be eligible for reduced tuition simply for earning the IB diploma. The University of Roehampton provides international students with two options for financial assistance through the Vice Chancellor’s Scholarship with the possibility of £2,000 or £1,500 per year. University of Sheffield is providing IB diploma holders the International Baccalaureate Merit Undergraduate Scholarship. Applicants must be awarded a place to study before being considered for a scholarship. The scholarship is valued at a 50% fee reduction in the cost of tuition. The University of Reading, in the United Kingdom is offering tuition scholarships for new international undergraduate students with excellent results in the International Baccalaureate. The scholarships are available to students pursing any subject. To be considered, students must hold an admissions offer at the University of Reading. To apply, send a nomination letter from the school/college (at which you are studying for the International Baccalaureate) to the Student Financial Support office outlining your academic and extra-curricular achievements. City University London is awarding merit-based scholarships to outstanding undergraduate freshmen. The Lord Mayor of London Scholarship for Academic Excellence is a award given to outstanding UK and EU incoming freshmen. The value of the scholarships awarded will be based on academic performance and course of study but are valued between £500-£3,000/year. The University of Liverpool provides undergraduates students a variety of scholarships opportunities. Many are specific to international students, catering to IB graduates from within and beyond the European Union. 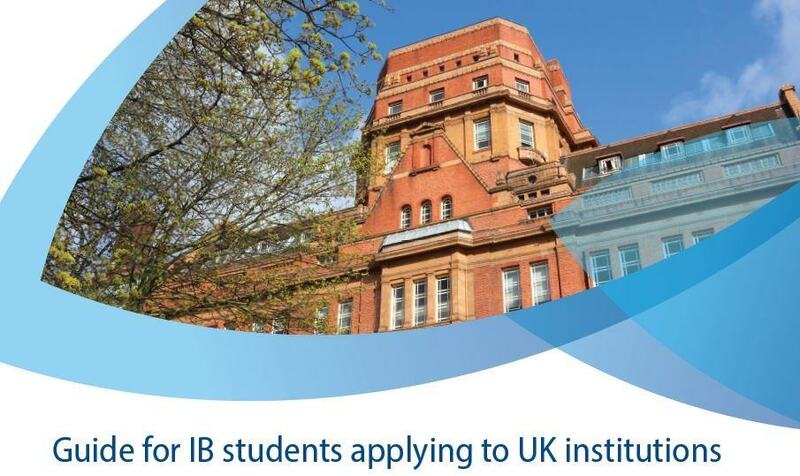 King’s College London updated admissions requirements to open their doors to more IB students. Undergraduates are eligible for a number of scholarships, including the Desmond Tutu Scholarship, which awards 75 undergraduates with £1,000 each. Regent’s University London is London’s only independent, not-for-profit university, with a highly cosmopolitan community based in royal Regent’s Park and Marylebone and welcomes students from more than 140 countries to their University each year. All students pay the same fees and the undergraduate scholarships are open to students of all nationalities. The scholarships range from excellence based awards given in the name of the Vice-Chancellor and Deans, to a Polo scholarship offered in association with the Federation of International Polo and a Screenwriting scholarship. Looking to lower the cost of your education in the United States? In addition to scholarships, review the amount of IB exam credit you may be eligible to receive. It could help you save both time and money as you complete your degree. University of Arizona (Tucson, AZ, USA) offers up to $5,000 a year to IB students with an IB diploma and a total of at least 24 points. 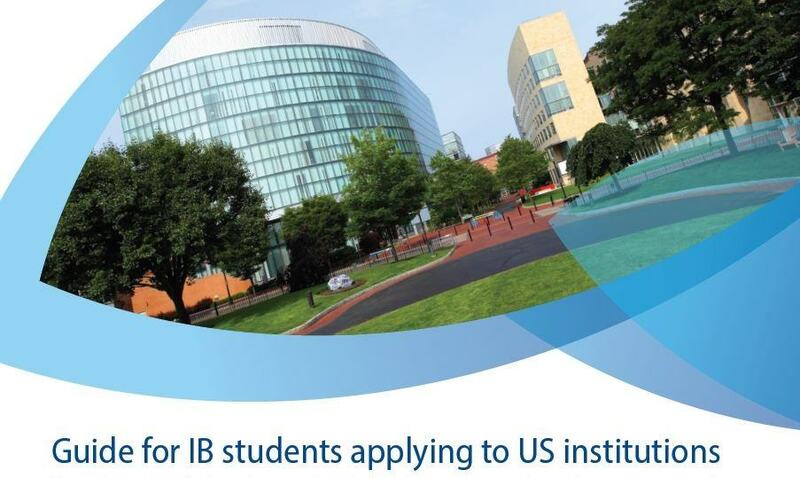 The IB Tuition Scholarship is offered to US citezens who are either residents or non-residents of the state of Arizona. Saint Michael’s College (Colchester, Vermont) provides IB diploma holders up to $15,000/year or more depending on your overall diploma score. They also offer incoming students as many as 32 course credits. Savannah College of Art and Design is offering scholarships from of $3,000 USD to $15,000 USD for IB diploma recipients. The scholarship award is based on final IB diploma scores. To be considered for this award, IB Diploma recipients must earn a minimum score of 27. At the University of Alabama, Birmingham, students who have been admitted for the fall and notified the school of their candidacy for the IB diploma, are eligible to submit results and receive a $2,500 scholarship. University of Michigan’s Go Blue Guarantee provides a full four-years of tuition to students who qualify for financial need and in-state tuition. It is awarded to high performing IB students from Michigan. The school also offers HL exam credit too. Transylvania University (Lexington, KY, USA) offers $8,000 (for IB courses) – $18,000 a year (for the full IB diploma) in scholarships as a part of their IB Scholars Program. Also included is early entry into a mentorship program, internship opportunities, a study abroad opportunity specifically for IB grads, as well as a special admissions application with the opportunity to submit an IB work instead of an essay. Oregon State University (Corvallis, Oregon, USA) is awarding scholarships to IB diploma holders who scored 30 or higher on their exam. The IB Scholarships from Oregon State University are $3,000/year and renewable. In order to be considered, students must present OSU with official transcripts as soon as possible. Pacific University, IB graduates enrolled to begin classes at Pacific University (Oregon, USA) scoring a 30 or more are eligible to receive the University’s IB Achievement Scholarship and may qualify for other merit scholarships. Simmons College highly considers IB diploma students for their amazing Kotzen Scholarship. The scholarship covers full tuition, fees, and room and board. Students also receive an annual award of $3,000 for studying abroad, internship expenses, research projects, and short-term courses. The College of Idaho offers up to 30 credits to students who completed an IB diploma with at least 28 points total on their exams. Awards range from $7,500 for certificate students to $11,000 for diploma students. With scores lower than 28, students can still receive up to 25 credits. Otterbein University has a scholarship for IB students who have taken at least two IB courses in high school. The award ranges from $1,000 to $5,000. The school also has other scholarships that IB students would qualify for ranging from $3,000-$15,000 a year. 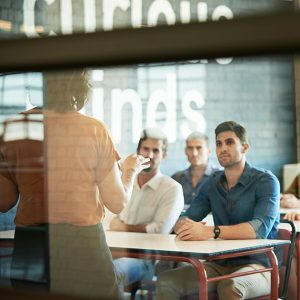 Admissions teams offer insight to the questions they often get asked about International Baccalaureate programmes and why IB students add value to top tier universities. 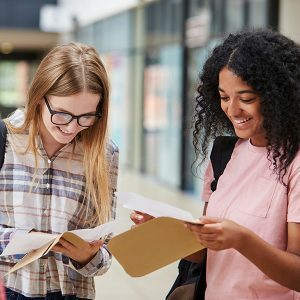 Many institutions in the United States offer generous credit for IB coursework to lower the cost of your education or the time it takes to graduate. A collection of more resources and essays intended to be an informal guide for Year 1 and 2 IB Diploma Programme (DP) and Career-related Programme (CP) students.